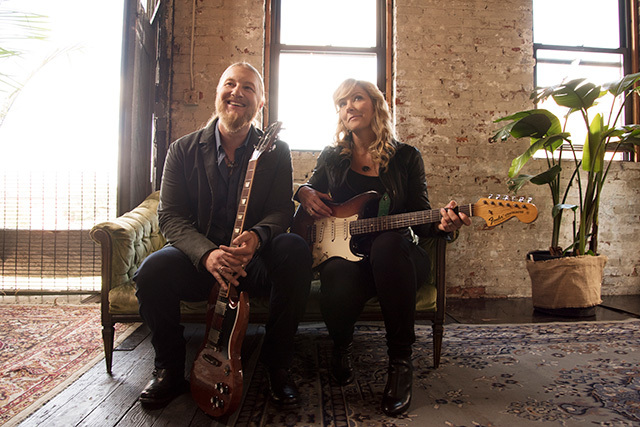 Tedeschi Trucks Band released their debut album Revelator in 2011 and have since toured the world with their music. 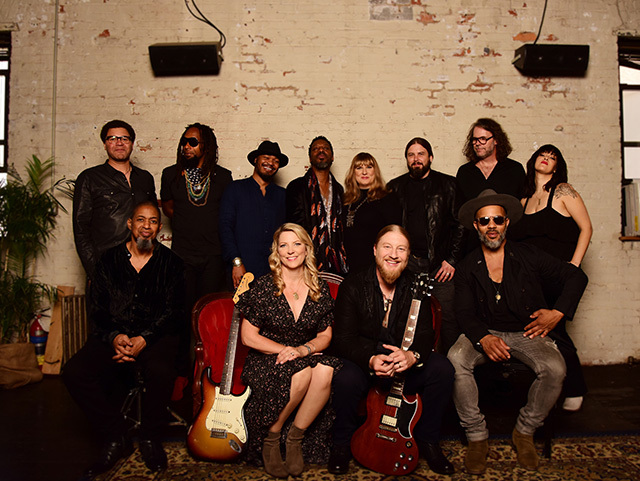 Fronted by husband and wife duo Susan Tedeschi and Derek Trucks, the band is a 12-piece that infuses Country, Americana, Blues, Soul and Rock into their sound. Earlier this year they released their fourth studio album Signs, which has picked up plenty of acclaim from fans and critics. Ahead of their UK shows on 26th and 27th April at the London Palladium I spoke with Susan to find out more about the new record, talk about the loss of their long-time band member Kofi Burbridge, and discuss the band’s long-awaited return to the UK. It was a really fun album to make. It came out nice and I was really happy with it. There are so many different styles and sounds and I just think your voice is wonderful. Was there a concept behind the record and how did you pull it all together? Basically we started writing for the record and the first song we wrote was Shame and the other songs around the same time was All the World. We started writing about things going on in the world and then we sat and wrote some songs with Mike Mattison, who is one of our singers and he’s one of our predominant songwriters. We really just tried to write songs that had a good groove or felt good or whatever came out. Lyrically we tried to write about things going on in the world but trying to be hopeful at the same time. (We were) trying to tell a story but still have somewhere to go, not to be depressing, but to actually get it out so people can deal with all the things going on in the world and just have a place to come and to escape a little bit. We had the band come down and it mostly was just the core at first. We had the two drummers, we had Kofi, our bass player and Derek and I. We would sit around and write and work on capturing some of the basics for the songs. Once we had the basics we brought the singers and the horn players down. Mike was always down anyway, he’s one of three singers, but he’s a big part of the core of the group so he’s usually there to help with ideas, lyrically and arrangement wise. He has a lot of good insight. We got together and recorded the basics and once we felt like we had a bunch of those, then we had he horn players and the singers come down and they added their parts, and some of them wrote their parts at the time. Kofi wrote beautiful string arrangements. He had had a surgery and then came back from the surgery and was able to conduct the four musicians from the Jacksonville Symphony Orchestra, who came and played on the record. They did a beautiful job and it was just absolutely gorgeous. It really showed off some of the extra hidden talents of Kofi. He always plays flute on the record a little bit too. He’s just the best flute player in the world to me. Unfortunately he had complications with surgery and he passed away the day the record came out. That was really very difficult for the whole band. We’ve been trying to deal with that. We found out two hours before we went on stage and we were going to cancel but I think we were in such shock I was like, ‘we have to play. What are we going to do just sit and cry? We can’t we have to play for Kofi’. We played the whole record and then in the second set we played a bunch of our old songs, which ended up being a lot more difficult than we thought because they all remind us of him. It’s been an emotional month or so since Kofi passed. The band is just trying to stay together, be strong and really celebrate him through this record. He did such an amazing job on this record. It’s been a really crazy couple years, losing a lot of people that are close to us. Signs is such a musically varied record with so many influences and styles on there. Where did the inspiration for those come from? We have some really beautiful songs on this record. Mike wrote a song called Strengthen What Remains and I feel like that song really sums up the record in a lot of ways. We’re going through so much on this planet, whether it’s climate change or politics or extremism or just pure hatred and violence… it just comes from nowhere, it just comes from chaos. I feel like that song is really beautiful. It gives you hope in the beauty of life that we all deal with every day and just how to move forward and appreciate what we have and try to stick together. There are songs like Signs and Shame, which is calling out people whether it’s sexual assault to people in politics. Nobody’s held accountable for anything and there’s a lot of that going on in the world. A lot of the songs can be current events but they also are very human songs. We try to have an uplifting message with songs like I’m Going to Be There that we wrote with Doyle Bramhall. They Don’t Shine is a really fun song that Mike wrote that is a sarcastic song about like being in love with somebody but they run off with someone else and you’re just like, ‘what are you doing? It doesn’t make any sense!’ It’s just a fun rock and roll kind of Stones like tune to play. Then there’s songs like Walk Through This Life Together which the band wrote. It was mostly written by our bass player, Kofi and Derek. Lyrically we kind of got stuck for a while and we didn’t really know what to do with it. Our friend Warren Haynes heard it and was like, ‘hey let me take a stab at it’. He wrote some really great ideas lyrically and melodically and we switched them up a little bit and just fine tuned it. It became a really nice sentiment and it’s lyrics that he would write thinking about Derek and I. Let’s walk through this life together. Let’s show a little staying power because so many people get divorced nowadays. We’ve been together 20 years and we’ve been married 17 years and still doing it. I think that’s a really nice sentiment and people can appreciate that. Everybody knows relationships are not easy. It’s a lot of give and take and compromise but you love each other and you work towards things. That’s sort of the idea of this band too you know. It’s hard having 12 people on the road and a lot of personalities but we love each other and we work hard to communicate and to make it work. We come from all different backgrounds and different types of music but we all get along great and at the end of the day we’re there for each other. We appreciate each other and respect each other. I think people like seeing that you know they come to see our band and they get a lot of that. You’re touring extensively this year including two dates in London next month. Is it a logistical nightmare organising a tour with so many people or are you just used to it now? Strangely we’re getting used to it (laughs). When we tour the States we have two buses and we tour the two buses most of the year until the summer, then we do a thing called Wheels of Soul tour and we bring three buses. There’s 22 of us on the road most of the time. During the summer tour we bring more people out for crew as well as a couple other bands so we tour as like three bands. It’s sort of a bigger production logistically. We’ve been doing this for a while now. We have gone to Europe a few times and to Japan and to Australia and it seems to be fine. Instead of booking six tickets, you book 20. We all stick together and some of us go off in pairs or maybe little groups. A lot of times the horn players stay together because they’re working on parts. We mix it up a bit. Drummers usually hang out with Derek and I and Mike for sure, it’s usually the five of us. We have Brandon who is our new bass player and he’s really wonderful. He’s a young guy who’s only about 24 but gosh he’s really talented. He’s got amazing ears and he’s really super sweet and easy to be around. He’s been a blessing since Tim left at the end in December. Then when Kofi was having all his surgeries, we had hired Gabe Dixon to cover for him for about a year. We knew Kofi was going to need time to heal. He was doing great, he was recovering and he finally made it off all the machines and was really looking good, then his kidney failed. It threw our whole band for a loop. Derek’s been working with Kofi for 20 years so this has been a really hard one on him especially and I think on all of us because Kofi was really special. He was the best musician any of us knew and he was just the sweetest. He was so sweet and so humble and really beautiful. He was a huge part of our band. We’re just continuing the band and trying to show people about his beautiful talents through the things that we recorded with him and all the string parts that he wrote for this record, which are absolutely gorgeous, and his flute playing on the record… and keyboards and clarinet and organ… he’s just amazing. We’re a big family and we stick together. No matter what people throw at us we tend to make it through so we’re just continuing on (laughs). You have two sold-out shows at Palladium in London in April. It’s been a while since you were last here. 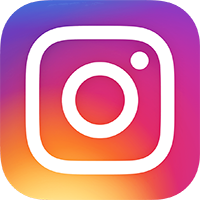 What is it that brings you back? We’ve been wanting to come back to London for quite a while and finally having a new record really makes it more attainable for us to go out and do shows and hopefully get people out. London is an amazing city and we love going there. Obviously who wouldn’t want to go? (laughs). We’re really looking forward to it. It has been a while since we played London. We have played Europe a couple times actually since we’ve been there. I think it’s just one of those cities that you really need to have a new record and make it worth people’s time to have us come out. We’re really looking forward to it. We’re really excited. Tedeschi Trucks Band’s new album Signs is available now. They will perform at the London Palladium on 26th and 27th April 2019. Vote: What's your favourite Chris Young album?